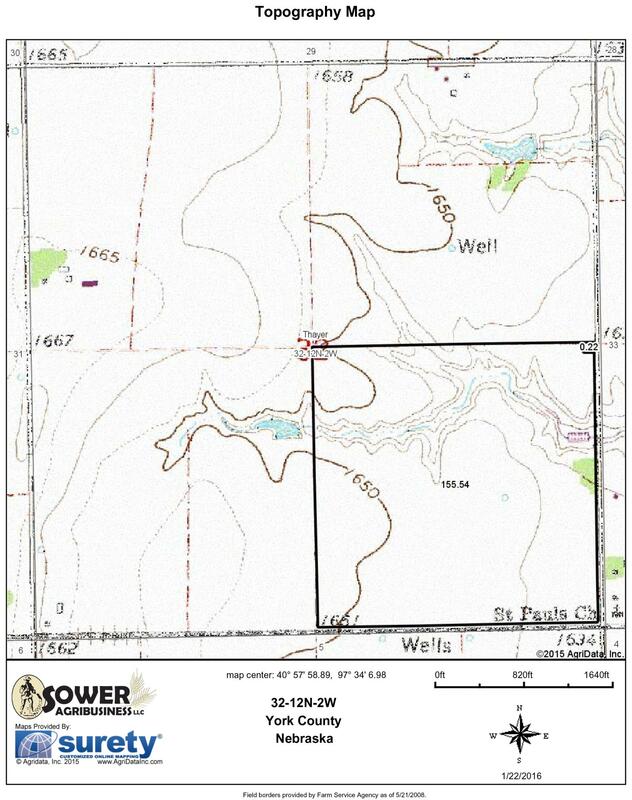 Tract #2: SE1/4 of Section 32-12-2, York County, Nebraska. 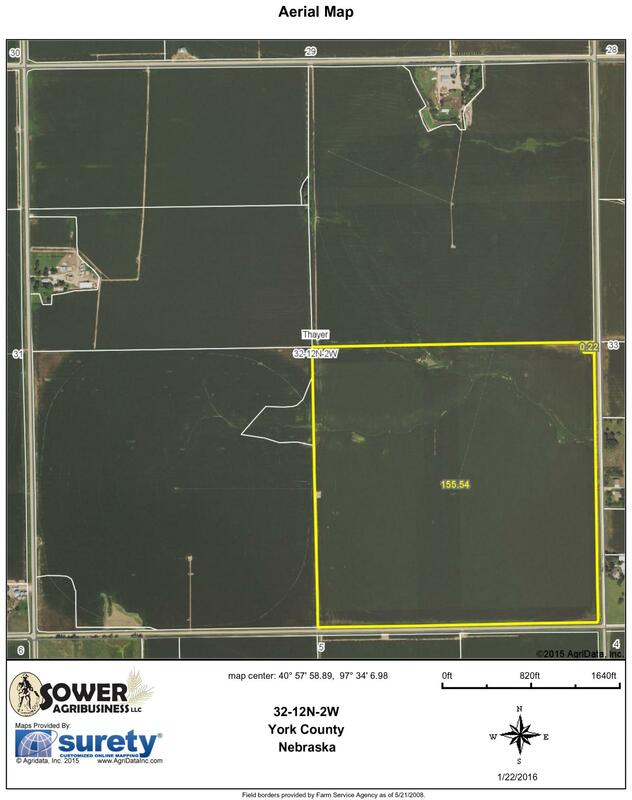 Selling as 160 acres +-. Legal Desciption: The Southeast Quarter (SE1/4) of Section Thirty-two (32), Township Twelve (12) North, Range Two (2) West of the 6th P.M., York County, Nebraska. 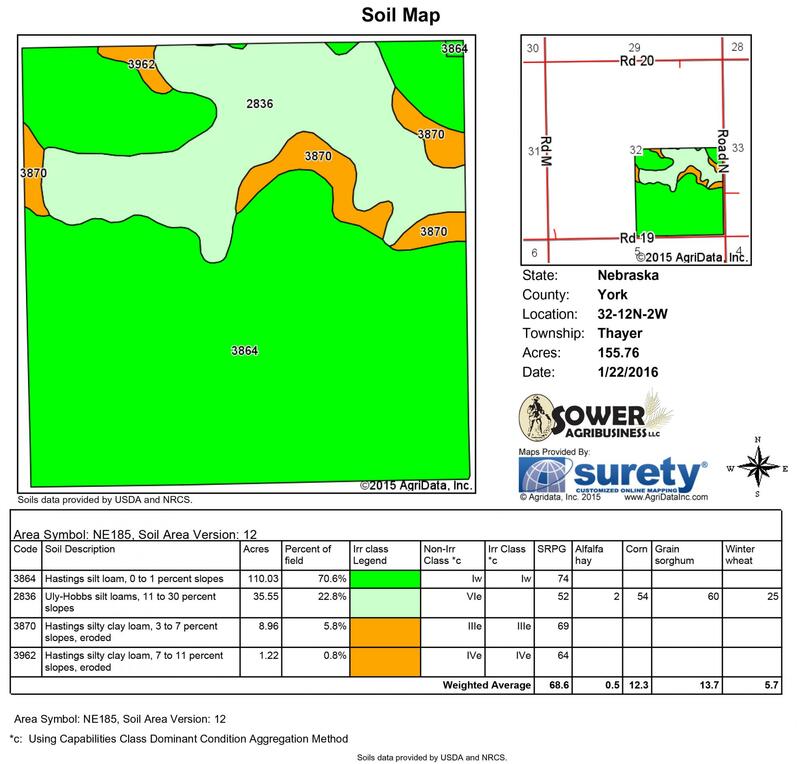 Selling as 160 acres more or less. Soils: Soils are predominantly Hastings Silt Loam 0-1% slopes, Uly-Hobbs Silt Loam 11-30% slopes. 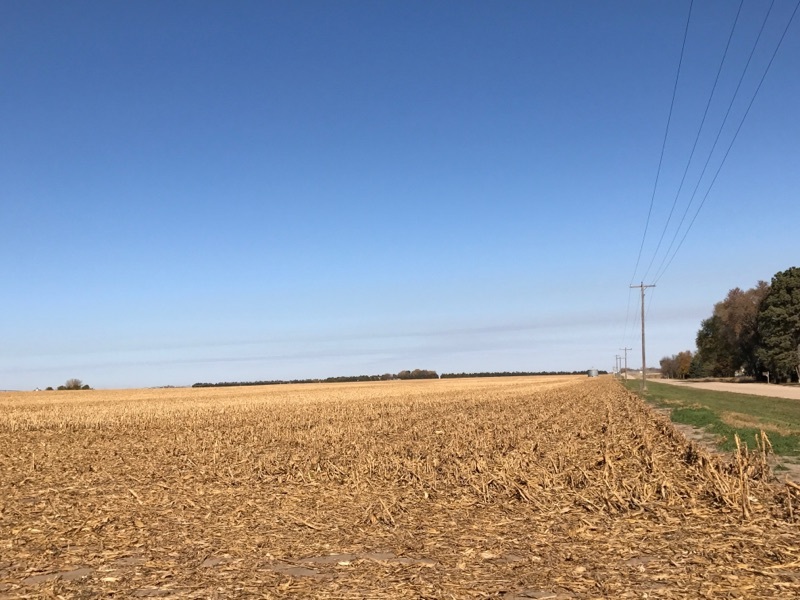 General Information: The FSA records indicate there are 155.54 cropland acres and 150.70 base acres. The feed grain base is 129.2 acres, corn and 21.5 acres, soybeans. 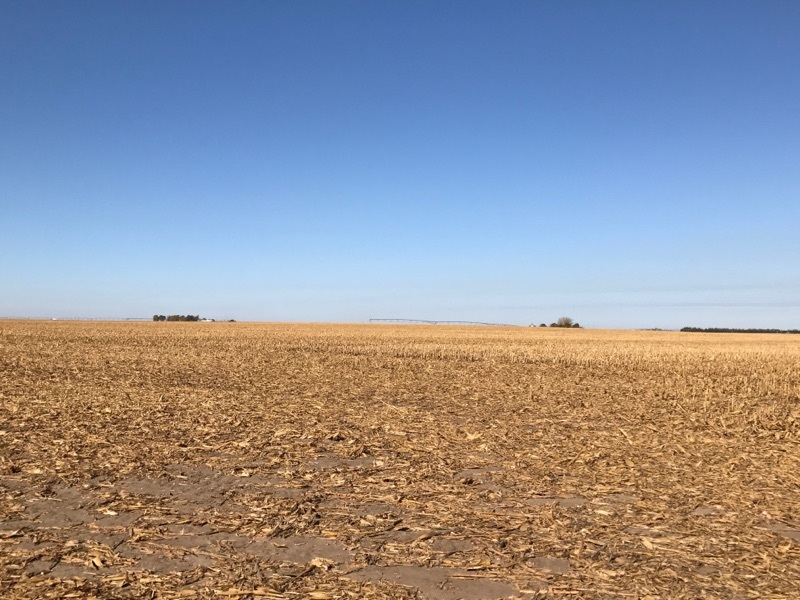 The PLC Yield is 195 Corn and 59 Soybeans. This tract does not contain a wetland. There are no HEL acres on this farm. Real Estate Taxes: The real estate taxes are $8,887.94, parcel ID #930068483. 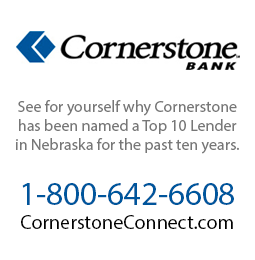 The 2016 taxes and all prior years will be paid by seller. Buyer will be responsible for 2017 taxes. Well Information: The well was completed in 1976, registration #G-053549, well depth of 240’, static level of 90’, pumping level of 99’, pump column of 8” and 600 GPM. 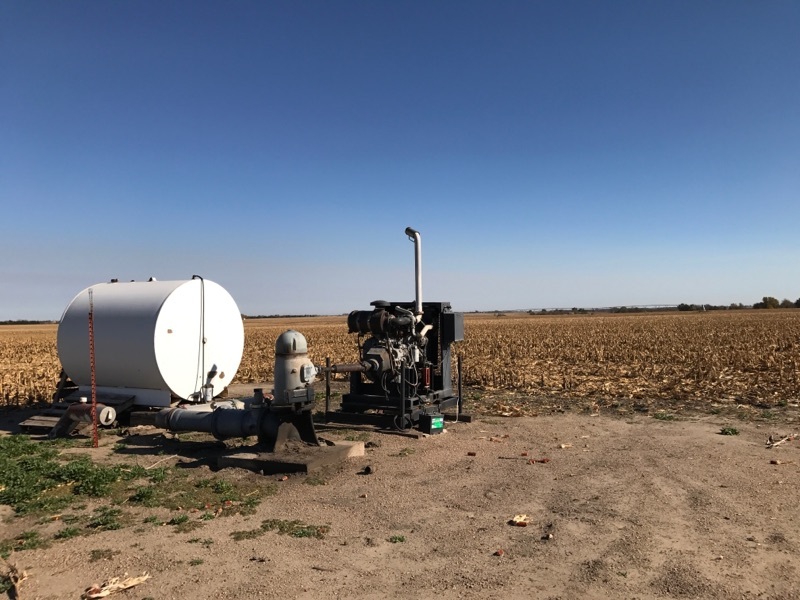 Personal Property: This farm is pivot irrigated with a 2004 Reinke seven tower corner system. 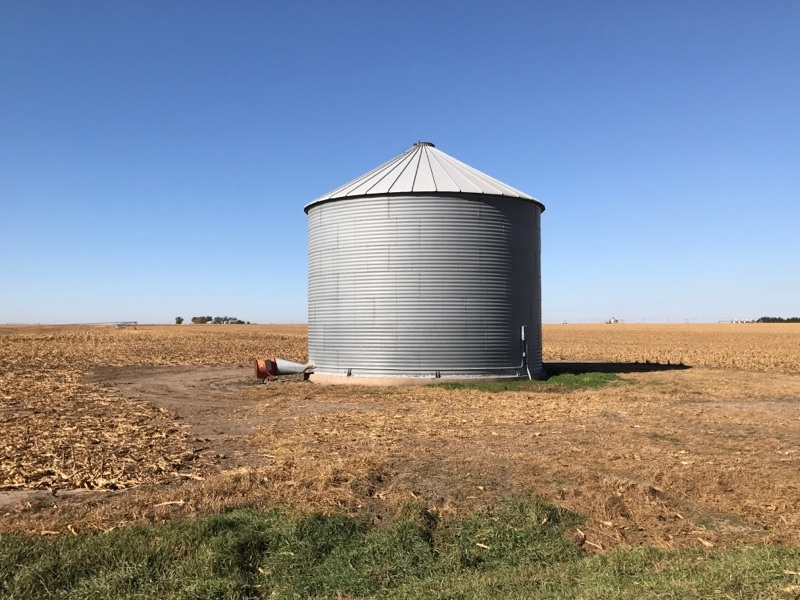 This farm also sells with an 8,500 bushel bin - per the farm lease, the grain bin(s) lease will terminate on August 31, 2017. This payment is subject to Farm Service Agency farm program. We will be selling each tract separately, no combinations will be offered. The successful bidder will be required to enter into a legally binding purchase agreement with 20% earnest deposit down the day of auction payable to Green Realty & Auction Trust Account. Balance due in full with certified funds on or before December 29, 2016. Title insurance will be provided guaranteeing free and clear title with the costs of the insurance and escrow closing fees to be split equally between buyer & seller. Warranty deed or equivalent will be given. 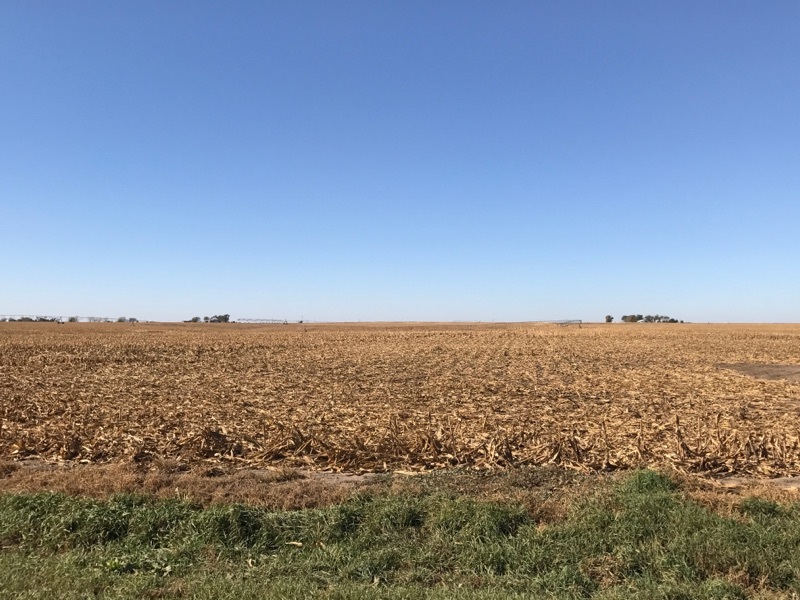 Farm sells subject to seller confirmation. All information deemed reliable but not guaranteed. Any other terms, conditions or factors governing this sale will be announced day of auction and will take precedence over any printed material. Green Realty & Auction and their associates are representing the sellers only as their agent.